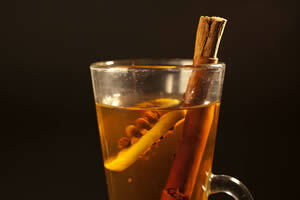 When it’s dark outside and my socks are soggy from the rain, it’s got to be a hot toddy. Traditionally, this is just a spirit mixed with something sweet and hot water or milk. I make it with a measure of whisky (a good Scotch blend like Bell’s – £22 for 1L) poured into a mug with a scoop of honey, a clove or two, half a cinnamon stick plus a slice and a squeeze of lemon, then top it up with hot water. In the American Midwest it’s made without the spices, just ginger ale, lemon, honey and bourbon. Jack Daniel’s Tennessee Whiskey works well here – it’s not strictly authentic, but it’s a good quality and good value alternative at £5 off (now just £17.50 for 70cl). On the other hand, if you prefer your whisky with nothing more than a cube of ice or drop of water at most, there are a few I’d particularly recommend. Taking things up a notch, the Balvenie Doublewood 12 Year Old offers something a little more complex and with £7 off, it’s currently just £24.80. It’s matured in casks of two different woods after distilling – a process known as ‘marrying’ (a dying art in Scotch whisky making) which gives character to the finished product. If I was really going to treat myself though, or someone special, I’d plump for the Lagavulin 1994 Distillers Addition at £54.55. It’s very peaty, even for an Islay malt, but has a lovely soft, warming character with notes of raisin from the Pedro Ximénez casks in which it’s double matured. Finally, I’m going to throw in a wild card. Triibe Celtic Liqueur (£16) is a blend of Irish malt whiskey, honey, caramel and royal jelly. It has a creamy texture that’s delicious over ice, but is clear and can be shaken into cocktails like a spirit. And with that, I’m off to rustle up a hot toddy. Brr… It looks chilly out. Offers available when you order by 2nd January 2013. This entry was posted in Talking Ocado and tagged Glen Moray, Jack Daniel’s, Top tipples, whiskies by Ocado. Bookmark the permalink.